Not only do Macs not ship with Blu-ray playback software built in, but Apple still doesn't make a drive capable of reading Blu-ray discs. The Mac mini is no exceptation. What if you wanna play Blu-ray discs on Mac mini? Luckily, there are always solutions out there. In this article, I will share a few options to easily play Blu-rays on Mac mini, which are listed in detail below. No one wants to carry a hard drive around to play Blu-ray on Mac mini, and it can be a headache when your Blu-ray player won't play Blu-ray on Mac mini, for example, damaged Blu-ray not playing, no disc found/blank disc error messages and other playback error, locked different region Blu-rays. You can rip Blu-rays to Mac mini for smooth and easy playback. EaseFab LosslessCopy for Mac is a great option for the job. It can copy and digitize Blu-rays to MOV, MP4, M4V, etc. supported format for Mac mini, QuickTime, VLC without quality loss in mins. With the program, you can play Blu-rays on Mac mini, including new releases, damaged Blu-rays that cannot play correctly before on Mac mini without disc drive. Insert the Blu-ray disc to the BD drive and then click the Load Disc button to have Blu-ray movies uploaded to EaseFab LosslessCopy. You can also import DVD files, BD/DVD ISO files, IFO files or Blu-ray/DVD folder for conversion. Click Format (located below where your Blu-ray's or DVD's files are displayed) and select the format you want from the drop-down list. Just below Format is Output, here you can browse your computer for a better destination folder for LosslessCopy to save your converted movies. As you see, all regular video and audio formats like MP4, MOV, MKV, WMV, AVI, FLV, MP3, WMA, WAV, M4A, etc. 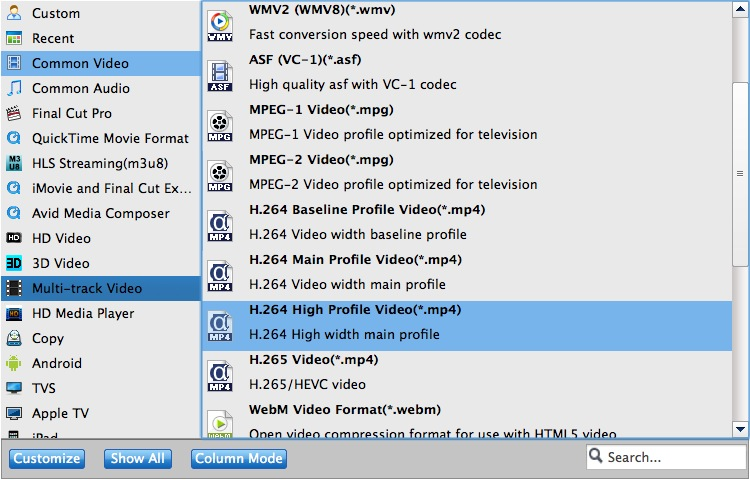 Besides, multi-track video like MKV, MP4, MOV & AVI are provided. This is the unique feature of EaseFab LosslessCopy. 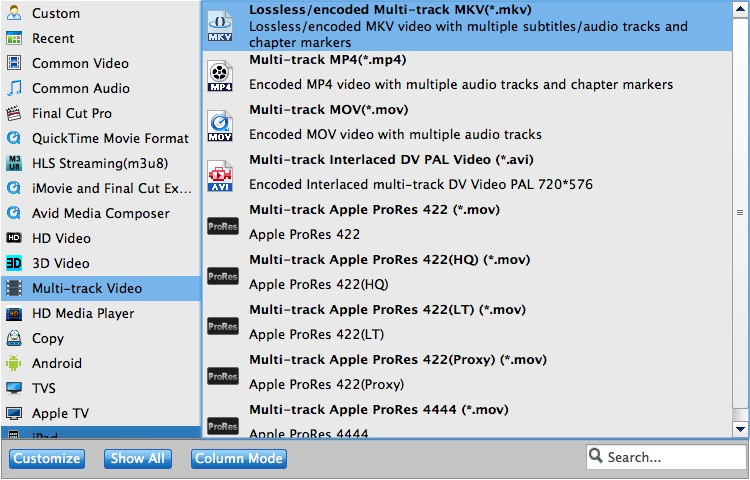 There are four multi-track output formats available for you to choose from - Lossless/encoded Multi-track MKV, Multi-track MP4, Multi-track MOV and Multi-track Interlaced DV PAL Video (*.avi). 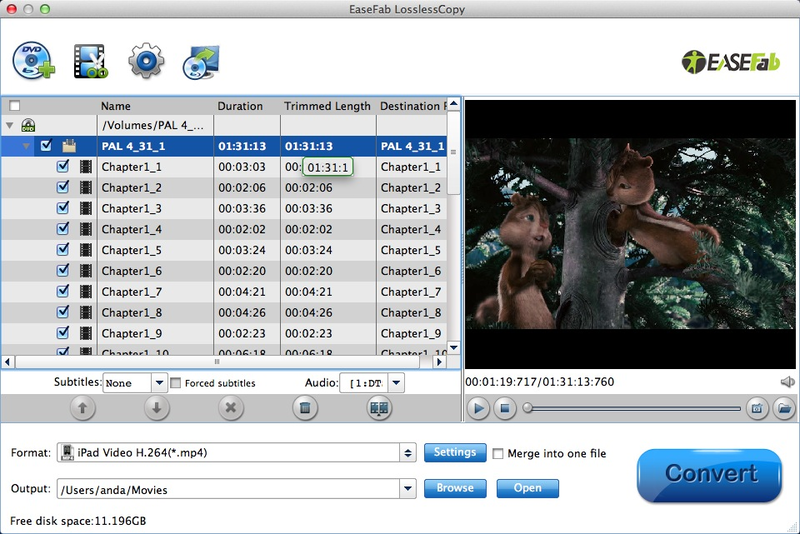 Besides ripping, the EaseFab LosslessCopy also offers enough freedom for all movie lovers like you to back up your favorite Blu-ray or DVD movies in a personalized way. Two different copy modes: Full Disc Copy and Directly Copy (Copy the main movie) are provided to let you copy the exact movie part you want. Just the selected your wanted one. Pros: Need no disc drive any more to play Blu-rays on Mac mini, play every and any Blu-rays without hassle, including damaged/unplayable Blu-rays, TV series/new movies on Blu-rays, workout/AV discs, perfectly get rid of Mac mini won't play Blu-ray issue. Cons: Have to download the software and rip Blu-rays to Mac mini first. Blu-ray disc is need the Blu-ray drive. Mac mini have provided some USB ports, you cannot play any Blu-Ray disc on any Mac mini, unless you buy a drive and software. You can buy the drive from Amazon, such as: Buffalo, Samsung, LG, ASUS and Sony, etc. Popular Software: Macgo Blu-ray Player, Aurora Blu-ray Player, VLC. NOTE: A drive without software is not enough. Software without a drive is not enough. 1. First, you should get an external Blu-ray drive connected with your Mac Mini. 2. 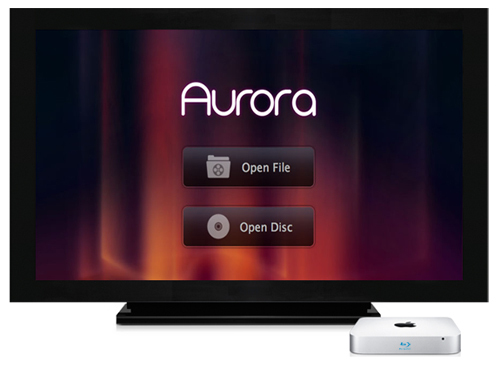 Then you need get a software, such as: Aurora Mac Mini Blu-ray player and then install it on your Mac Mini. 3. You should make sure the Internet Connection is well. Then insert the Blu-ray disc into the drive, the player will read it automatically. Pros: Ability to burn Blu-rays, simple to operate. Cons: Users need to buy external disc drive and Blu-ray player software. And not all Blu-ray discs are supported by the these Blu-ray player softwares mentioned above.